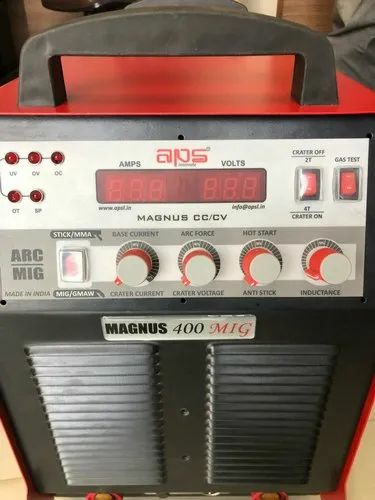 We take pleasure to introduce ourselves as one of the leading organizations, engaged in offering a comprehensive range of CO2 and MIG Welding Machine. Our offered machine is manufactured by adept engineers employing updated technology and optimum quality basic material in accordance with the set industry norms. This machine has gained the appreciation of our clients for its continuously functioning for long hours. It is widely used in engineering industries and workshops for welding purposes. Clients can avail this range from us in various specifications. Incepted in the year 2003, in Ahmedabad (Gujarat, India), we “Heena Sales.” are known as the reputed Manufacturer, Trader, Exporter, Importer of premium quality range of Welding Machines, TIG Welding Machines, MIG Welding Machines, Robotic Handlings, CNC Plasma Cutting Machines, AC DC TIG Welding Machines, Spot Welding Machines, Pneumatic Spot Welding Machines, Welding And Robotic Machines and Imported Welding Machines. Under the direction of our Director, “Mr. Mehul Gajjar”, we are able to attain maximum satisfaction of our respected clients. For the manufacturing of these products, we have established an ultra-modern infrastructural unit that is supervised by our team of knowledgeable and experienced professionals. This infrastructure is categorized into several functional departments such as manufacturing, production, procurement, quality testing, research & development, warehousing, packaging, etc. Furnished with advanced machinery and equipment, this ultra-modern unit helps us to meet the requirements of our customer in time. The client is a trader of brands like OTC Japan, ESAB, Hallmark.